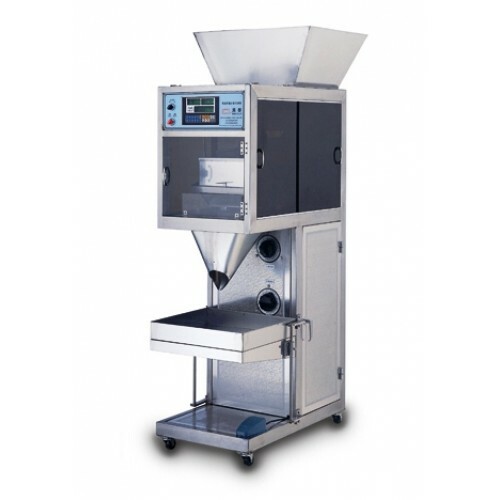 This CC-1000W is designed and manufactured for weighing and filling powder, powder grit, and grit product, such as medicine, watermelon seed, nut peanut, green bean, animal-feed, detergent, rice, French bread ...etc. 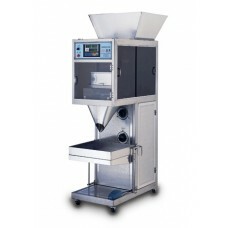 Provides extremely accurate product weighing control. Accuracy up to ±2grams. Designed with two feed chutes(big and small)for efficient product filling operation for great operation convenience. This machine provides automatic and semi-automatic product filling operations for great operation convenience. Bag contents weight 50-1000 grams, 8-15 bags per min. Bag contents weight 1kg-2kg, 5-8 bags per min. Bag contents weight 2kg-5kg, 2-5 bags per min. Actual weight is LED displayed. Zero point setting for error indication. Auto. zero set reduces repetitive error.